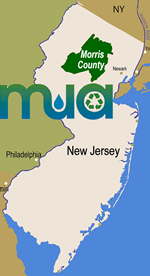 The MCMUA maintains a listing of solid waste materials for disposal and/or recycling and issues and facilities associated with each material's management. Please use this listing to figure out how and where to manage (dispose and/or recycle) such materials. Contact facilities prior to delivering waste to verify what materials they can accept and if their are any restrictions associated with such delivery of materials. Select Material Filter Then Hit Go. E-Waste - Computers, TVs, etc.